Which ever house you think you want to be in, the sorting hat will tell you your true fate! 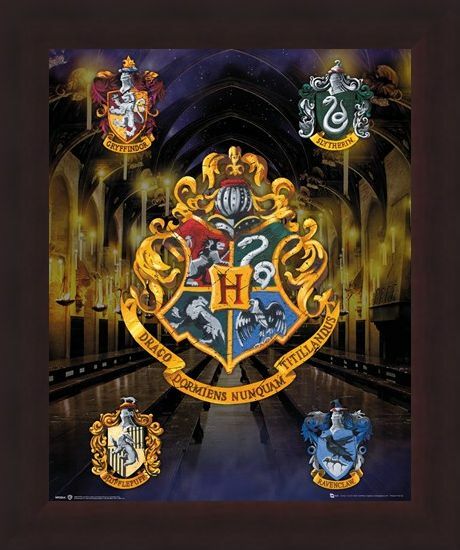 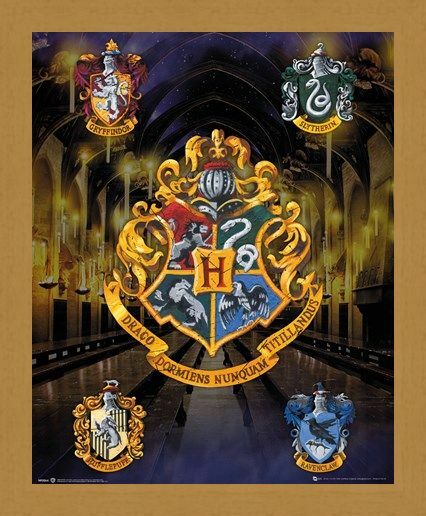 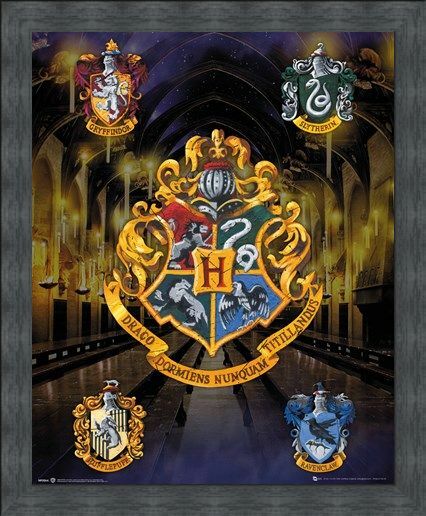 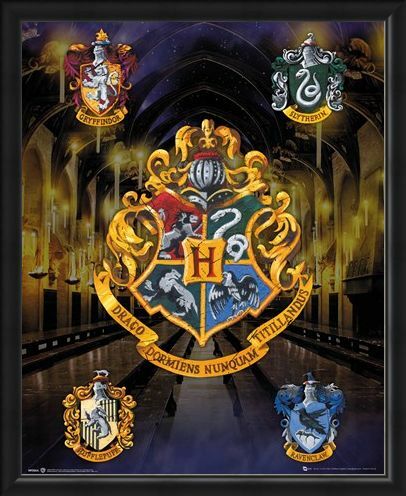 This rich and warming Harry Poster mini poster features the four house crests of your favourite school of witchcraft and wizardry. 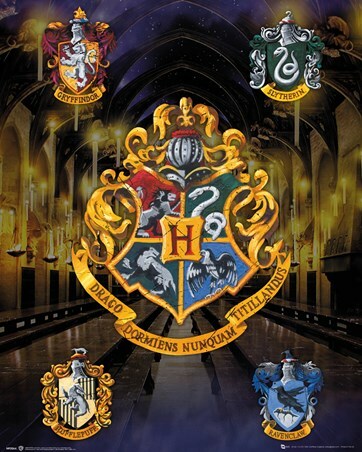 If you're waiting for your acceptance letter, you might want to think about the different rewards and expectations of the house you might end up it. 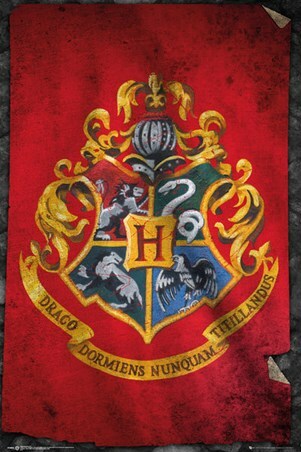 You'll need to live up to the cunning and ambitious traits of Slytherin, or be noble and selfless like a Gryffindor. 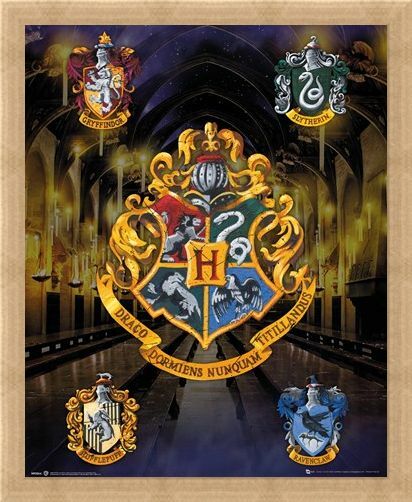 Which ever Hogwarts family you enter, we know you'll make a great wizard! 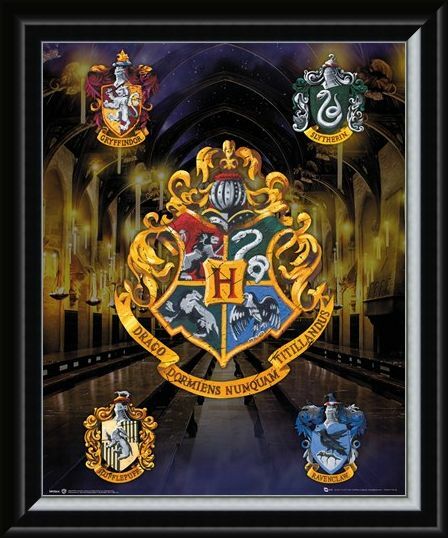 High quality, framed House Crests, Harry Potter mini poster with a bespoke frame by our custom framing service.